Materials: oil on canvas. Dimensions: 70.2 x 114.6 cm. 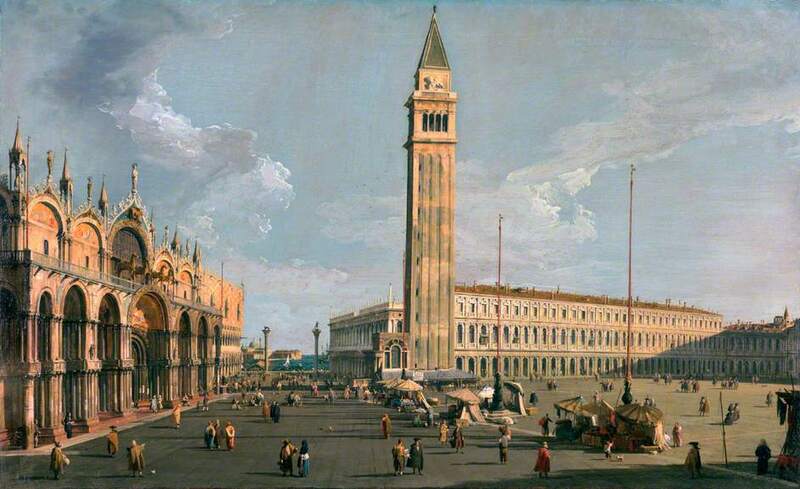 Source: http://www.bbc.co.uk/arts/yourpaintings/paintings/the-piazza-di-san-marco-venice-123954. Materials: oil on canvas. 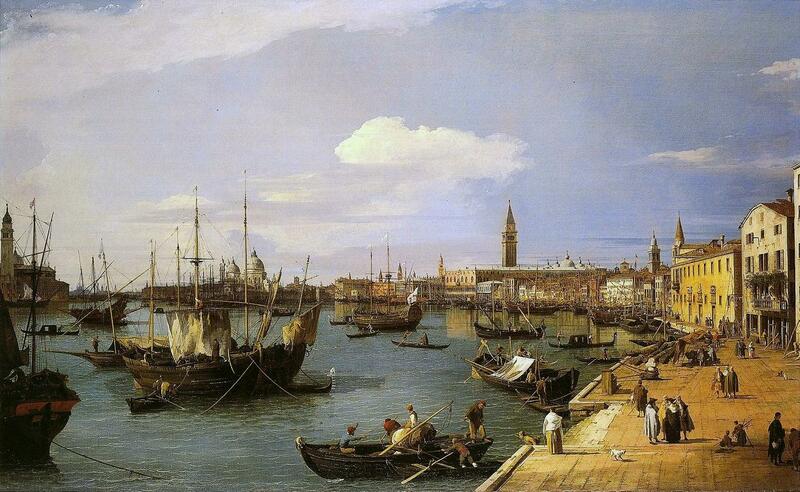 Dimensions: 64.1 x 109.7 cm. 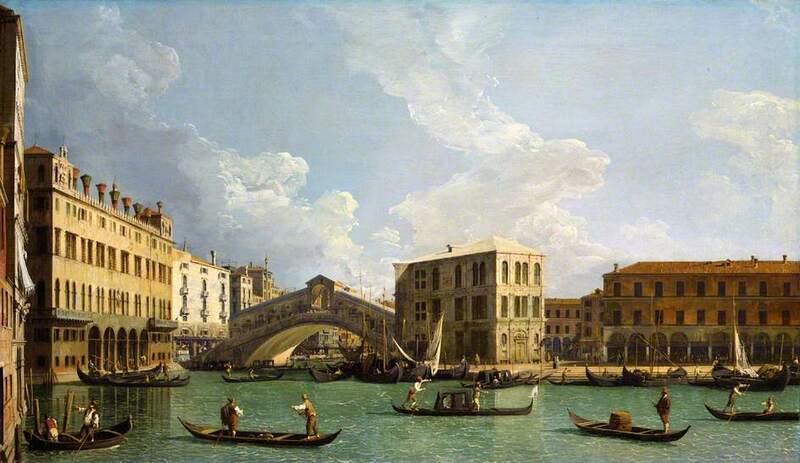 Source: http://www.bbc.co.uk/arts/yourpaintings/paintings/a-view-of-the-rialto-venice–123953. I have changed the light, contrast and colors of the original photo.